I read Katherine Webb’s The Legacy last year and loved it so I had high hopes for her new book The Unseen. Like The Legacy, this book also had dual storylines, one set in 1911 and the other in 2011, and the present day was used as a vehicle to help us unravel exactly what had happened 100 years ago. I am seeing these types of books (non-linear) all over the place at the moment and I am growing really bored with them; however, just like last time, Webb pulls it off brilliantly. The Unseen is centred around a vicarage in 1911 where Hester Canning lives with her vicar husband. She is desperate for a child but Albert doesn’t seem at all interested in her, despite being a loving husband in any other room apart from the bedroom. Hester’s desire and curiosity about what exactly should be going on under the duvet provided a few giggles (not at her – poor thing – but as to how innocent those days were). 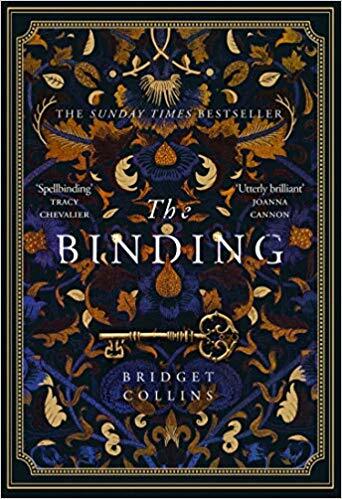 During the summer of that year, the Cannings receive two new people in to their house, which sets off a chain of events that will ulitmately result in murder. The first is Cat Morley, who has just been released from jail in London for being a suffragette (although the rumour mill in rural Berkshire where the Cannings live) have her down as a murderer, fornicator etc the minute she arrives. Cat is a fantastic character and I warmed to her very much. She is dissatisfied with her lot in life and doesn’t understand why your birth dictates your station in life. She wants to do things and see things and is very ahead of her time. Often, while reading this book, I tried to imagine how I would have been in those days too: I am not one for holding my tongue if I feel something is wrong or unjust, and I really felt for Cat and her desire to make a change. The other newbie into the Canning household was Robin Durrant who was a slimey, work-shy, snake of a man who had Albert wrapped around his little finger and managed to disrupt the whole household. Back in 2011, Journalist Leah tries to fit together the pieces of what happened that summer through letters and journals found. Despite, what it says on the cover, this is not really a story of the supernatural at all. It is more a tale of the huge gap between the classes and the sexes, with mystery and intrigue to hook us in. Yes, there is a murder but it is right at the end, and there are other revelations that come to the fore at the end that have been building nicely for a while too which is ultimately what makes this story so compelling. The atmosphere is really well created and the characters are so three-dimensional that I either loved them or hated them (I love it when an author can do that – there is nothing worse that not caring one way or another about a character). I loved Cat and Hester, despised Albert and Robin and just adored Sophie Bell the cook! Verdict: Another belter from this author and I eagerly await whatever she comes up with next. Have you read anything by Katherine Webb yet? Are you going to try her books?